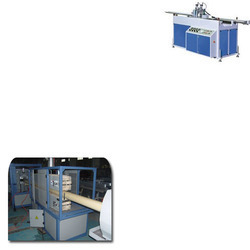 Manufacturer of a wide range of products which include pvc pipe cutting machine for plastic industry. We are offering wide range of PVC Pipe Cutting Machine for Plastic Industry. Offered selection is manufactured in compliance with the set industry guidelines, to ensure durability and flawlessness. Looking for PVC Pipe Cutting Machine for Plastic Industry ?